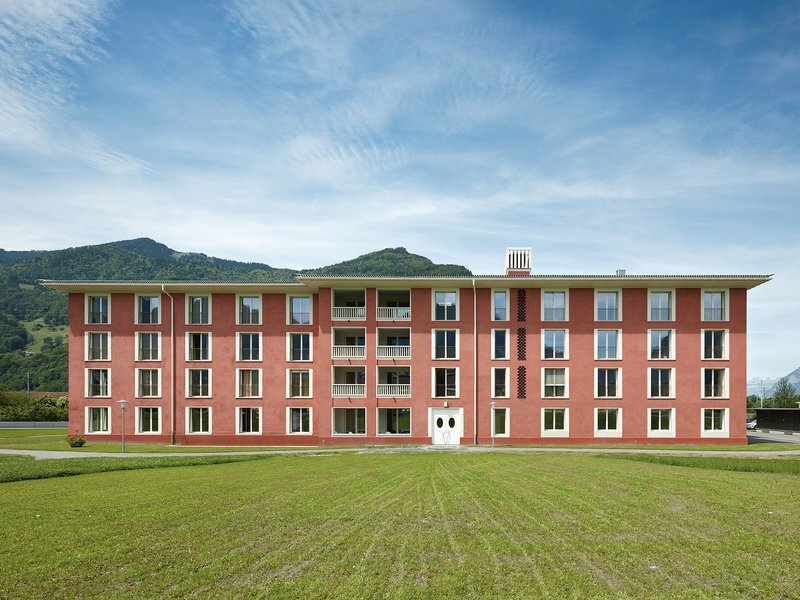 The new senior residence responds to its isolated location on the outskirts of Landquart with a courtyard layout consisting of an L-shaped main building and a single-storey surrounding colonnade. This design creates an identity-lending centre for life in the home as well as for the surrounding farm. 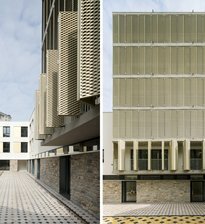 At the same time, the spatial concept meets the residents’ need for privacy and a sense of security. With its strict architectural scheme and bold colouration, the residence asserts a high profile in the expansive valley. 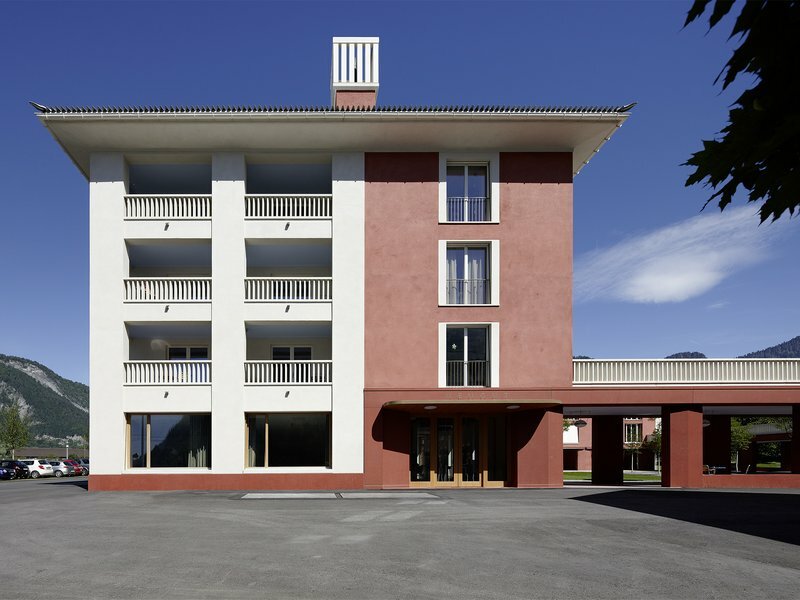 The resulting dialogue between building and landscape recalls the alpine tourist hotels from the 19th century. 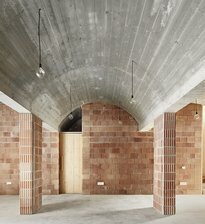 The surrounding colonnade acts as a filter between the courtyard and the surrounding farm operations and serves as a meeting place for the residents. A two-storey garden hall forms a spatial counterweight to the main building. The interiors offer a cosy ambience. The interplay of materiality and colour, light and furnishings evokes associations with the residents’ former home surroundings but also with genteel hotel interiors. This adds another, positively connotated, dimension to the reality of life in a highly professional care facility. The residents’ rooms are accesssed via undulating corridors. These create a sequence of cabinet-like areas that can be used as lounges for each small group of rooms. The anonymity of a large nursing facility is thus countered by a smaller, more familiar scale.